My Saturday game was scrapped due to torrential rains and a power outing. One of my players didn’t want to walk in the pouring rain for some odd reason. 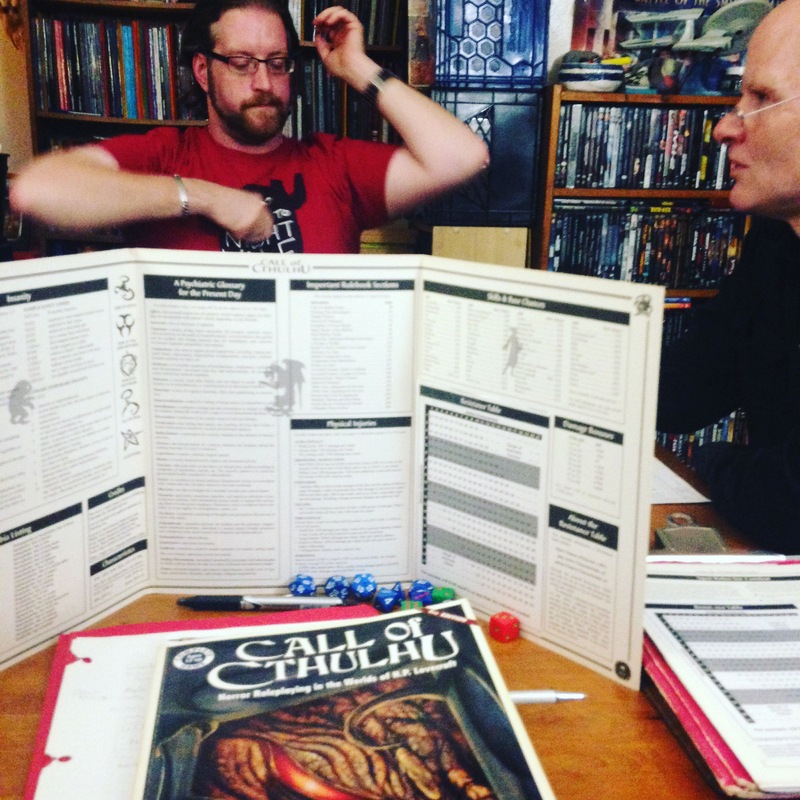 On Sunday though we kicked off our first session of Call of Cthulhu 5e. Our heroes where called upon to find notorious Arkham City gangster ; Bosso Morgan. Private Eye Ashes Muldoon was hired by a woman, Molly Harper, to find her boss who didn’t show up for work in two days. The dilettante, Dot Harper, is a friend of Ashes just happens to be drafted in this investigation. And what happens next you won’t believe it! Actually, it was a grand introduction back into CoC. I will blog about later. Overall, it was an enjoyable session. This entry was posted in Call of Cthulhu, game night, role playing and tagged Call of Cthulhu, chaosium inc, game night, sunday game night. Bookmark the permalink.